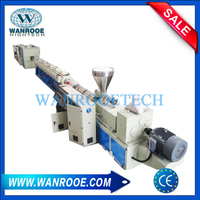 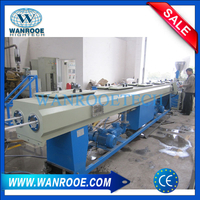 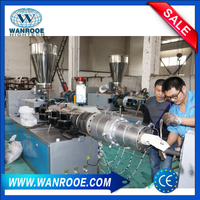 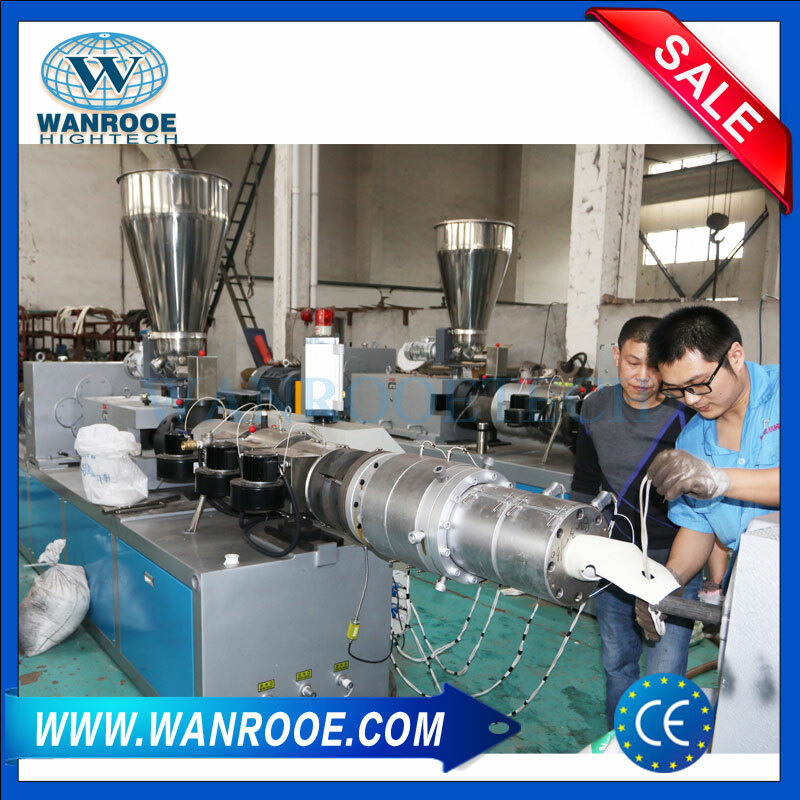 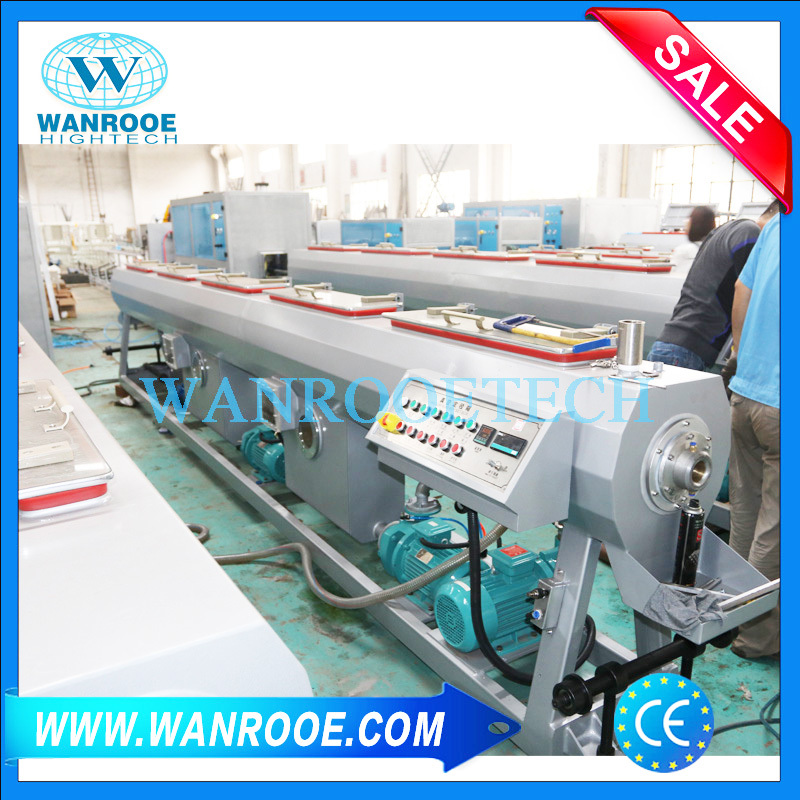 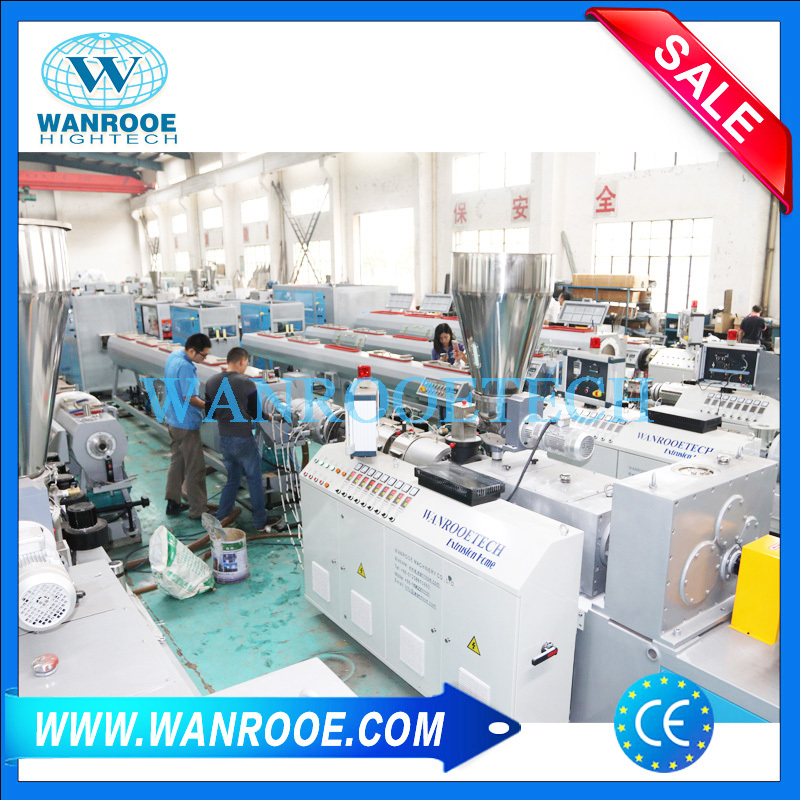 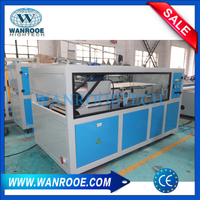 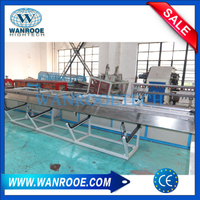 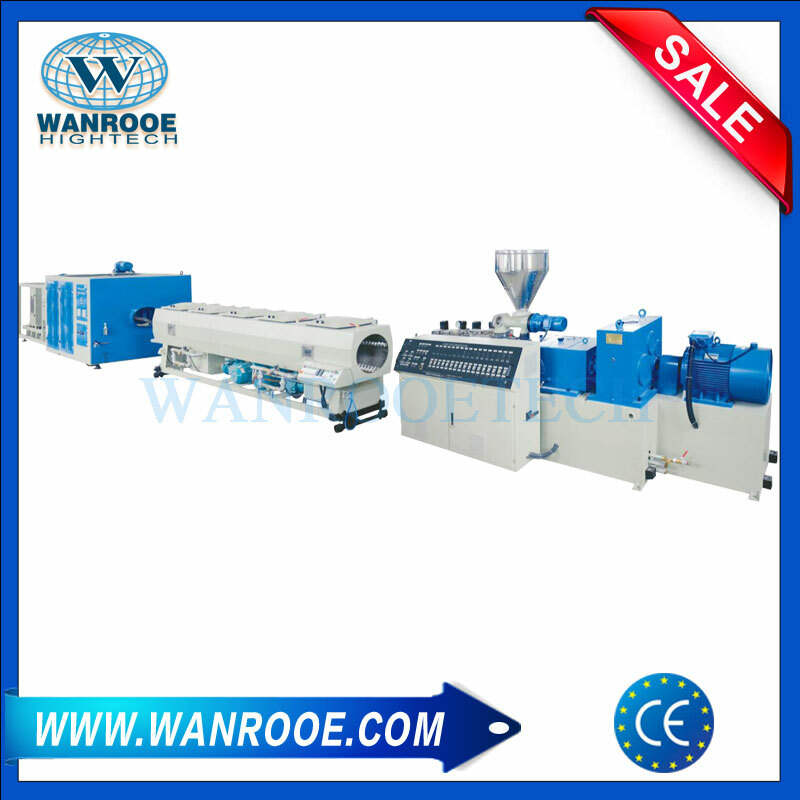 PVC Double Pipe Extrusion Machine from China Manufacturer - WANROOE MACHINERY CO.,LTD. 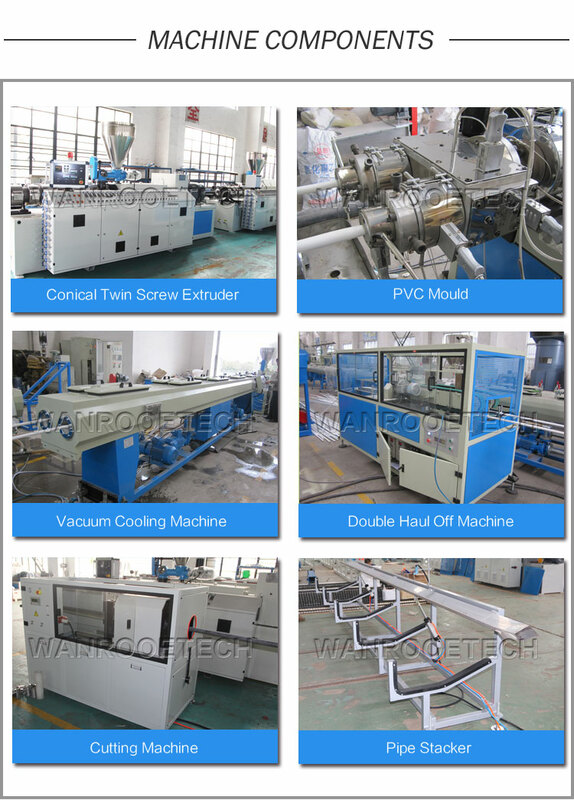 1.Conical twin-screw extruder has abundant professional experiences and has character of good quality high efficiency, safe and convenient to use. 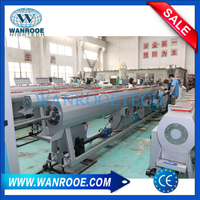 2.The technology of twin pipe vacuum calibrating water tank has been tend to mature. 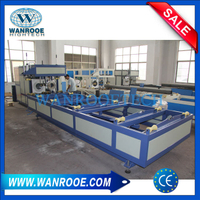 3.Independent control of the haul-off unite and synchronous control cutting machine. 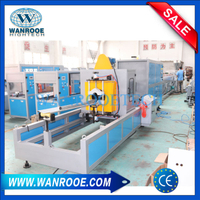 4.According to the specific requirements the stacker can be set freely. 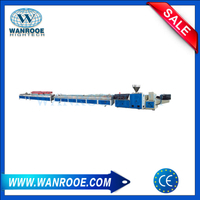 5.The line operated by PLC and after-sales service can be come true by remote connection. 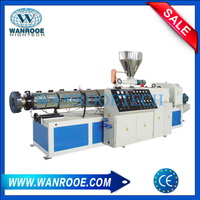 6.Main extruder: SJZ65/132 conical twin screw extruder. 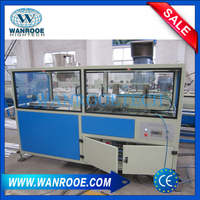 7.Production capacity: can up to 250kg/h. 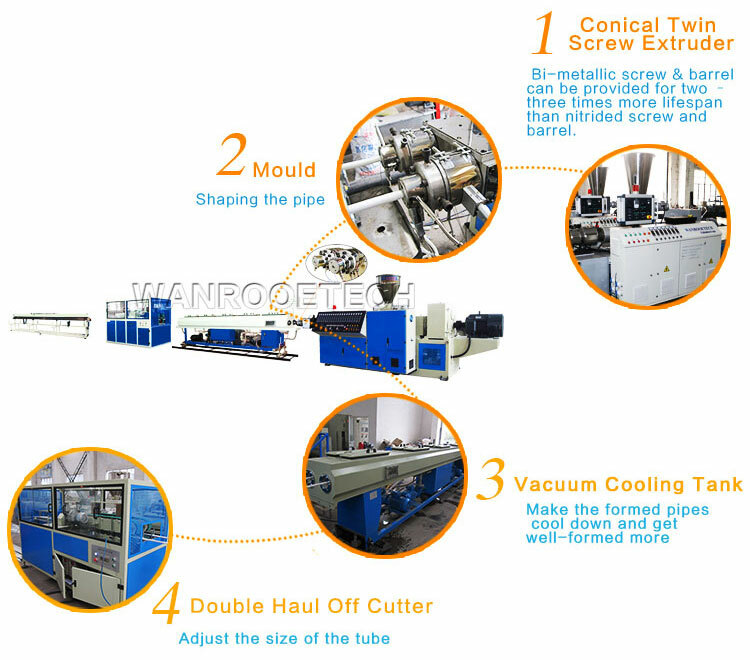 8.Produce two pipes at same time. 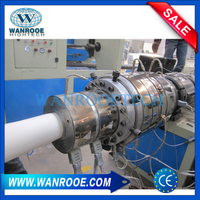 9.Pipe diameter: 16-40mm or 16-63mm.